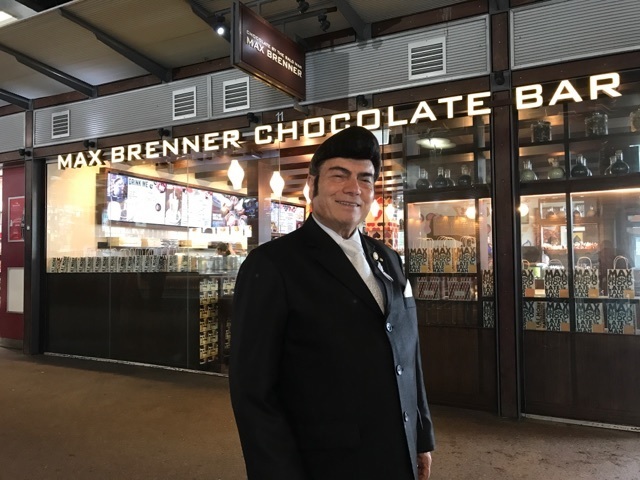 The failed “chocolate cafe” Max Brenner collapsed in October of this year, but the business may not be over yet, with news that Italo-Australian cinema mogul Roy Mustaca has purchased the chain. “I purchased it to help someone in need, and to save jobs,” Mustaca of United Cinemas said. In an exclusive interview, Mustaca told La Fiamma that the purchase “was unexpected”. “At first I said no,” he said. “It was the last thing in my mind. “I’ve been in cinema for 30 years, not chocolate. “But I couldn’t sleep that night. Mustaca is no stranger to charity, having recently spent some weeks in Italy touring and singing and donating the proceeds to various causes. Mustaca acquired Collaroy cinema on Sydney’s northern beaches in the ’80s. He went on to build Warriewood cinema, where he is now based, and founded a chain of independent cinemas across Australia under the United Cinemas banner. The Calabrian-born opera singer came to Australia when he was 13, and has been singing with Warner Bros ever since. He has recorded many of his own songs, including San Rocco and Mamma. He is well loved for his performative opera antics, which have seen him burst into song before many a film screening and excited audience. The cinema owner is even subject of a popular Facebook page, dedicated to “Raucous Roy Mustaca Memes”. The page has 1500 followers united under the slogan “he’s Mr Entertainment as far as Pittwater is concerned”. Max Brenner was allegedly under financial strain for two years before it was forced to close 37 of its chocolate bars last month. Many of its employees lost their jobs, and the franchise immediately sought to sell or recapitalise the business. It is said that an expensive renovation of the company's head office in Alexandria, in Sydney’s inner south, hit company funds so badly that they were unable to pay staff superannuation for the last six months of 2016. It was a sticky end to an initially successful project, which saw husband and wife team Tom (or Tamir) and Lilly Haikin amass a fortune of $40 million after opening the first Max Brenner chocolate bar in Paddington in 2000. 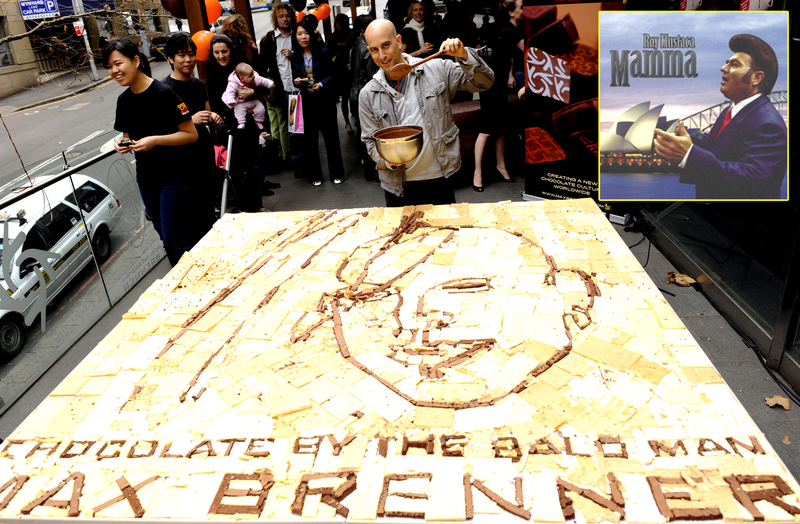 Max Brenner now exists in locations worldwide, including the United States, Japan, Russia, Singapore and China. The chocolate lovers’ haven is famed for its gooey sweet pizzas and decadent hot drinks. Earlier this month, the Mustaca family changed the name of one of their companies, Opera Developments Pty Ltd to MC Chocolate Pty Ltd, according to SMH. Mustaca said that he was very impressed by the Max Brenner vision of pleasing people and giving joy with chocolate. He visited some of the original premises, describing it as “like a palace of chocolate”. It seems that “Chocolate by the bald man” has a new do, and it’s looking a lot like Elvis Presley.